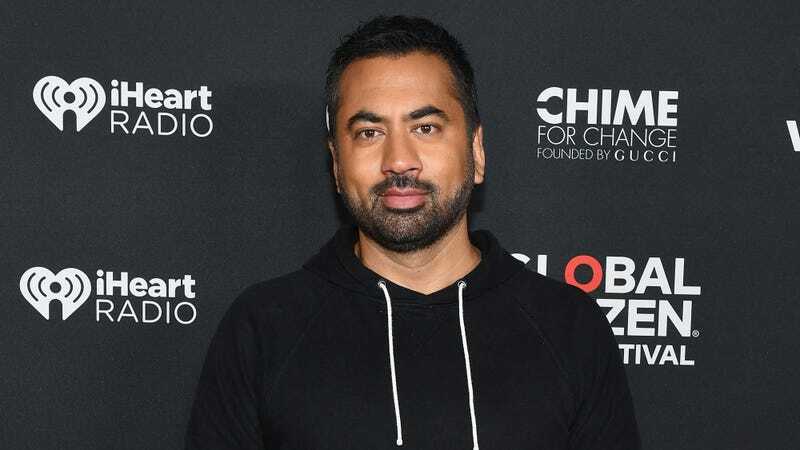 According to Variety, former White House associate director of public engagement (and also actor) Kal Penn is set to star in a new comedy pilot from The Good Place and Brooklyn Nine-Nine’s Mike Schur. The pilot, which Penn co-wrote with Matt Murray, doesn’t have a title yet, but it’s about a former New York City Councilman who meets a group of recent immigrants who are “in need of his help and in search of the American Dream.” Penn will play the councilman in the pilot and, presumably, in the full series (if the project goes that far). As for Schur’s involvement, Variety says he’ll be a “supervising executive producer,” which sounds like a fairly hands-on role—unless “supervising” means hands-off? Either way, if this goes to series, it’ll be Schur’s fourth on NBC after The Good Place, Nine-Nine, and the upcoming Abby’s. He’s no Greg Berlanti, but it’s a nice little bundle.